I know I usually post Christmas cookie recipes during the month of December, but I realized the other day that I have never shared this recipe with you. With all of the holiday parties, dinners, and receptions one is invited to it's nice to have a quick dish you can whip up at the drop of a hat to take with you. My old boss (Hi Nancy!) 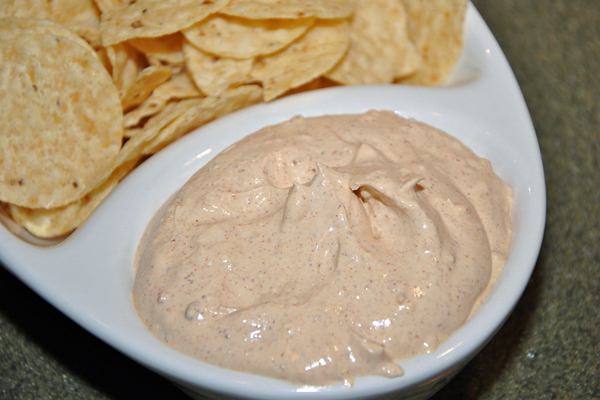 used to make this dip for our office parties and everyone loved it. We used to call it "that damn taco dip" because it was so good and addicting that we couldn't stop eating it. I've changed it around from her recipe to something it a little quicker and easier to make. I actually make this dip about once a month, for home, or when company visits, or when I have a pot luck or party to go to. I swear, every time I make this at least one person asks for the recipe. I'm not lying- you will not be the only one addicted to this Taco Dip. (recipe HERE) I do have to note that I forgot to pick up shredded cheese at the store but I always put it in the dip. 1. 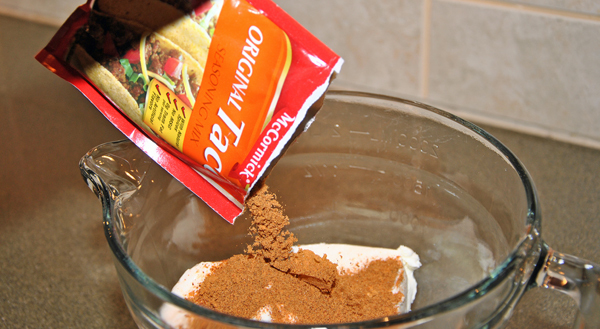 You can buy a spicier taco mix to add a little more kick to your dip. 2. Cheddar or Mexican Mix cheese-add a little or a lot! 3. This recipe is normally a layered recipe where you spread the dip out on a tray, spread lettuce on top of the dip, then chopped tomatoes, and then finally sprinkle with shredded cheese. I hope you have a wonderful weekend! Don't forget to enter my Express scarf and gift card giveaway (HERE)! It ends Sunday. Also, make sure you stop by Monday-the largest giveaway I have ever done will kick off! There will also be a Facebook only giveaway starting Monday. Do you "Like" me yet? Do so HERE!